Complete your bathroom, ensuite or powder room with the Round Toilet Paper Holder. 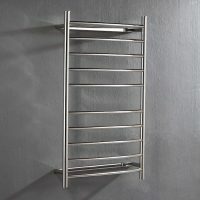 This necessary bathroom accessory features a unique, contemporary design with sleek rounded edges and a stylish chrome finish. The Round Toilet Paper Holder features a distinctive L-shaped holder, which has the capacity of holding a standard toilet paper roll. 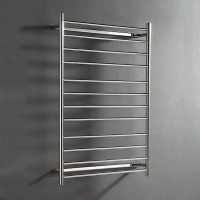 Rest assure, its bold design and modern looks will perfectly complement existing bathroom décor. The Round Toilet Paper Holder weighs 0.1kg and is recommended for install as a wall mounted unit. 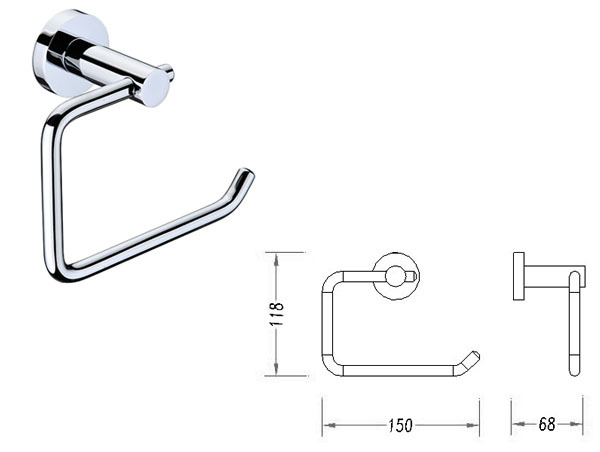 It comes with a fixing bracket and mounting screws and offers easy and straightforward installation. Moreover, the fixing bracket completely conceals the fastening and offers a seamless and plush finish. It is manufactured with a premium brass construction and exhibits top notch workmanship. It is incredibly sturdy and durable and is built to offer you several years of service. 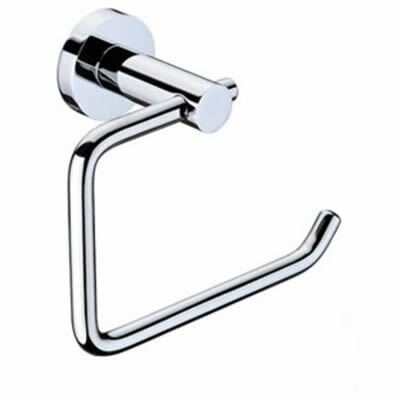 This toilet paper holder not only meets, but also exceeds Australian standards of quality. To add a finishing touch to your bathroom, you won’t find anything better than the Round Toilet Paper Holder. Buy this much needed bathroom accessory from our online store today to avail free delivery all across Perth Metro!